A fortnight of the best of tennis at the ‘Happy Slam’, the Australian Open 2019 reaches a climax as the Men’s and Women’s Singles Finals are upon us. The tournament has had it all – upsets, comebacks, retirements, tears of joy, tears of pain, anger, meltdowns, injuries, all the emotions have brought us here and the last two men and women are ready to cross one more hurdle. A blockbuster! World number one and World number two, Novak Djokovic and Rafael Nadal, multiple Grand Slam Champions and very familiar foes will contest for the Norman Brookes Challenge Cup. With seeds falling right from the first round, these two men have avoided the upsets and one of them will add to his tally of Grand Slam titles. It will be 53rd meeting between the two tennis greats. Head-to-head, Djokovic edges with 27 wins over Nadal’s 25. Even with meeting so many times, Djokovic and Nadal have met only once at this stage of the Australian Open – in 2012, a match which lasted 5 hours and 53 minutes; the longest Grand Slam Final in tennis history, which Djokovic won. World number one, Novak Djokovic will be playing his third consecutive Grand Slam Final after winning at Wimbledon and the US Open in a resurgent 2018 season. Coming off a one-sided 6-0, 6-2, 6-2 semifinal match against Lucas Pouille, the Serb goes into the final fresh spending a total of 11 hours and 59 minutes on court from the first round to the semifinals, dropping only two sets. The Australian Open is definitely Djokovic’s Grand Slam tournament. The Serb has reached the final 6 times and won all 6 times, in 2008, 2011, 2012, 2013, 2015, 2016. With a 7th title in sight, the 31-year-old will have the best start to the 2019 season if he lifts the Norman Brookes Challenge Cup again. Rafael Nadal is playing the best tennis he has ever played on hard court. The World number two went into the tournament with injury concerns but has surprisingly reached the final without dropping a set. In the semifinals, Nadal schooled rising star, Stefanos Tsitsipas 6-2, 6-4, 6-0 and has spent a total of 12 hours and 11 minutes on court from the first round. Of his 17 Grand Slam titles, Rafael Nadal has lifted the Norman Brookes Challenge Cup only once – a decade ago. A 10 year challenge, maybe? Another Australian Open title will put the 32-year-old just 2 Grand Slam titles behind Roger Federer’s 20. This really is the perfect final. The world’s two top players, renewing their rivalry. Djokovic and Nadal last met at last season’s Wimbledon semifinals with Djokovic winning 6-4, 3-6, 7-6(9), 3-6, 10-8 in 5 hours and 15 minutes. These men like to go the distance. They will definitely give everything on court physically and mentally. For this match, grab your popcorn because it is bound to be an exciting one. Going into predictions, this is probably the toughest match to predict. Rafael Nadal is not playing on his favorite surface but he looks almost unbeatable. After ten years, the King of Clay will clinch a long-awaited second Australian Open title, in 4 sets over Novak Djokovic. Petra Kvitova, a two-time Grand Slam winner playing in her first Grand Slam Final since 2014 vs Naomi Osaka, a one-time Grand Slam winner playing in her second consecutive Grand Slam Final. This is quite a story! More interestingly, will be battling for the title and the World number one spot at the same time – winner takes all! This is huge, as neither of them has ever reached the very top of the WTA rankings. This is a very exciting match up as they will be facing each other for the very first time. Petra Kvitova makes a return to a Grand Slam Final after many struggles, including a knife attack to her playing left hand, leaving her career in jeopardy. Against all odds, the world number 6 is reaching her peak again. The 28-year-old won all matches in straight sets on her way to the final. Both of Kvitova’s Grand Slam titles came at Wimbledon in 2011 and 2014 and she looks to lift the Daphne Akhurst Memorial Cup to add to her tally. 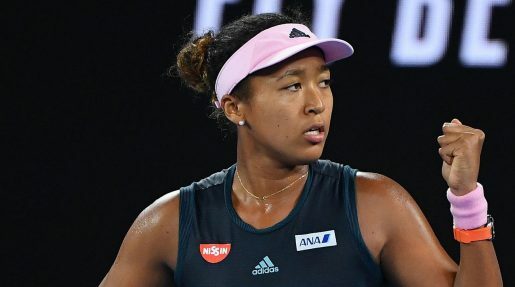 Naomi Osaka is showing great consistency, coming into the Australian Open as 2018 US Open Champion and reaching another final. Unlike Kvitova, the 21-year-old did not have a smooth ride leading to the final. She had to make comebacks, improving match after match, impressively hitting 15 aces in her victory over Karolina Pliskova in the semifinals. Through it all, Osaka has gained mental strength. A year ago, Naomi Osaka was ranked 72nd in the world. A year later, she is unbeaten in 13 Grand Slam matches and close to becoming World number one. If she wins this Australian Open, she will become the first woman to back up her first Grand Slam title by winning the next Grand Slam since Jennifer Capriati in 2001. Petra Kvitova has won all her matches in straight sets but Naomi Osaka will be her biggest test as she faced only one seeded player from the first round to the semifinals. Naomi Osaka’s new found mental strength and resilience might just be the key. This is a potential three-setter and whoever wins it would be absolutely deserving. This has turned out to be one of the best Australian Open editions in years. The finals will crown it all and then we look to the rest of the 2019 season.